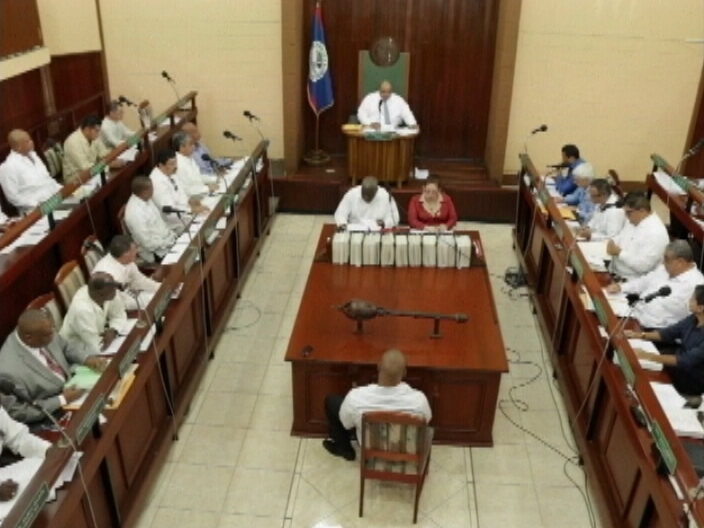 On March 7th, Prime Minister of Belize Honorable Dean Barrow presented the proposed General Revenue and Appropriations Bill (budget) for the fiscal year (FY) 2014/2015 to the tune of $1 billion dollars. That proposed budget was debated in the House of Representatives on Monday March 24th and Tuesday March 25th. The budget, entitled “Bettering People, Building Belize – A budget for All,” will provide $34 million in the form of increment and salary adjustment to teachers and public officers. The budget flows from the FY 2013/2014 in which Gross Domestic Product (GDP) was at 0.7% growth instead of last year’s projection of 2.5% GDP growth. Moreover, last year’s FY saw a combined rise in the inflation rate and cost of living. Adding to challenges is the fact that almost 25% of the population is unemployed. As reported by the Statistical Institute of Belize (SIB) in their last annual report, 21,000 Belizeans who want to work are unable to find jobs. The challenges are compounded by the fact that 43% of the population is considered living in poverty – Toledo District being the poorest district, followed by the Corozal District. In his initial presentation of the budget proposal, PM Barrow said that this year’s budget was the biggest in Belize’s history. “The proposed Budget targets a preliminary Primary Surplus of 1% of GDP and an Overall Deficit of 1.7% of GDP. Total Expenditure is estimated at $1 billion while Total Revenue and Grants are projected at $956 million. When taken together, this results in the projected Overall Deficit of $57 million, the equivalent of 1.7% of GDP. To this figure we must add a further $70 million for Loan Amortization requirements, and so arrive at the Total Financing Needs of $127 million. These financing needs will be met from the following sources; disbursement of $48 million from Loans already contracted with our multi-lateral development partners to fund our Capital III Expenditure Program; disbursement of $20 million in budget support financing from the Republic of China (Taiwan) under the on-going bilateral economic cooperation program; and a further draw-down of PetroCaribe financing in the amounts of $59 million,” said Barrow on March 7th. Barrow went on to say that the center piece of the proposed budget was the increment and salary adjustment for teachers and public officers. "Teachers and Public Officers, with this Budget, Mr Speaker, are receiving the nectar of a not less than 5% salary increase on top of the annual 2.5% increment. Altogether this translates into around 34 million dollars… Unfortunately, notwithstanding Government's extraordinary munificence, there seems to be in some quarters ingratitude ‘sharper than a serpent's tooth.’ But we will not allow that to rain on our grand raise-of-pay parade. Despite our disagreements with some of the Union Leaders, we tremendously value both our Public Officers and Teachers. We believe in them, we treasure them and we consider it our special obligation to properly reward them. Thus, we were and are happy to make and live up to this commitment. And we consider its fulfillment the centerpiece of this Budget." The Area Representative for Orange Walk Central John Briceño lambasted the government, indicating that while teachers and public officers are getting a raise, they are being taxed even more. “The Prime Minister proclaimed this is a year of miracles. He will create this miracle with a GDP growth of hopefully 2%. Cost of living, according to him will “pick up a bit” meaning that the beans and the rice and the vegetables will go up even more. And on top of that, the government plans to collect $37 million dollars more in taxes in this “annus mirabilis.” So that while public officers and teachers will be given a much deserved $34 million in salary adjustments, he [PM Barrow] will squeeze from all our pockets $37 million more in taxes… Belizeans earn an average of $754 per month. This is not even the $900, which according to the SIB is needed monthly to live at a bare minimum. Let’s break this $900 down into real spending: $400 for rent or a small mortgage; $400 for food and other household necessities for a family of four. That means the average family only has $100 to pay their utility bill, send their children to school, pay for transportation, deal with medical issues, and save. Our people are struggling to make ends meet. Most families are one emergency away from losing their homes or falling into major debt,” said Briceño. On significant interest was the contribution made by Area Representative of Belmopan and the Minister of National Security John Saldivar. He indicated that the budgetary allocation to his ministry for 2014/2015 has increased from $107 million in 2013/2014 to $124 million in 2014/2015 which will be used for law enforcement and citizen’s security. According to Saldiver, the increase in budgetary allocation will see an increase in house allowance of over $3 million. Constable to Sergeant level police officers will get an increase of housing allowance from $150 to $300 while Inspector and above will get an increase of more than $300 per month. There will also be an increase of 130 more new police officers, while the Belize Defense Force (BDF) will be expanded with two additional intakes of 80 officers each (160 officers). Saldiver said that the BDFs will be removed from the street and will only be seen on patrols on special occasions. Meanwhile $6.9 million will be spent on maritime security and be spent in works that deal with securing the country’s territorial waters. 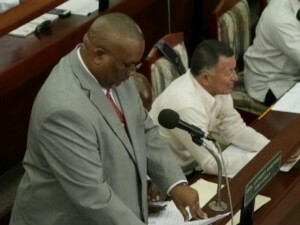 Of the 31 members of the House of Representative, the shortest remark came from the Area Representative of Belize Rural South and Minister of Tourism, Culture and Civil Aviation, Manuel Heredia Jr. His remarks lasted exactly eight minutes and twelve seconds, and focused on the accomplishments of the Ministry of Tourism which includes a growth in overnight and cruise tourism and investment in the tourism sector specifically through the Sustainable Tourism Project through loans from the Inter-American Development Bank. 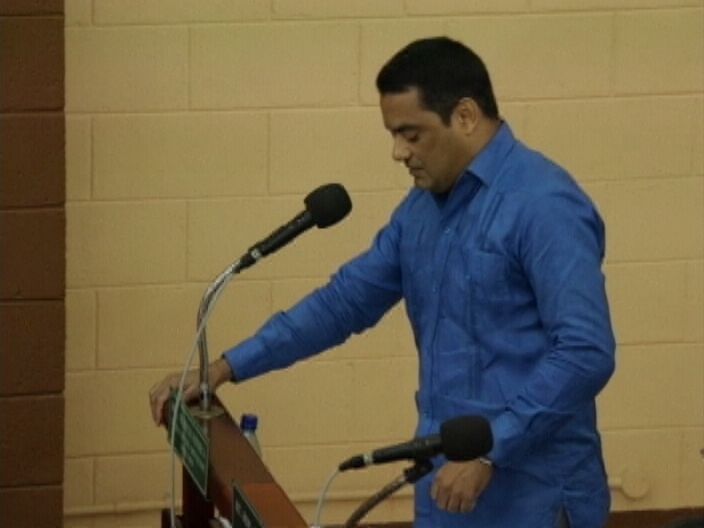 Heredia made no mention regarding possible projects and how the current budget will address the many needs and issues affecting the residents of Belize Rural South which includes Ambergris Caye and Caye Caulker. Despite our request for comments following his contribution, Heredia did not respond to our request for an interview. 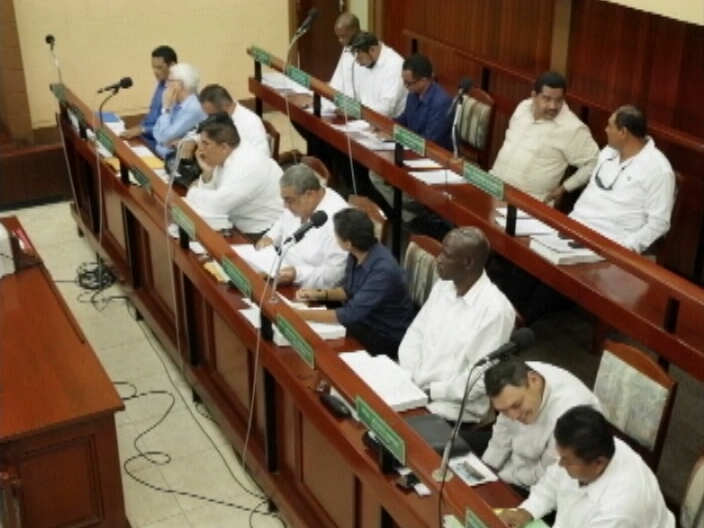 One person who was not inspired by Heredia’s budget remarks was the Mayor of San Pedro Town Daniel Guerrero. “We are very concerned because we are part of his constituency and we are part of Belize and we should get our fair share of the budget. Unfortunately, we didn’t hear anything for us,” said Guerrero. The San Pedro Town Council is currently controlled by the United Democratic Party Government and according to Mayor Guerrero the council was not consulted or considered when putting the budget together. In wrapping up the debate PM Barrow responded to criticisms of the opposition members of parliament. He took the opportunity to announce that Maranco, an oil company drilling for oil in the Gallon Jug area in the Orange Walk district, found a significant oil reserve. PM Barrow said that while he was excited, he will be providing more details to the Belizean people in the days ahead. The General Revenue and Appropriations Bill for FY 2014/2015 will now be taken to the Senate where it will be debated on Thursday March 27th.